Although the true origin and age of the breed is not well documented, evidence of the term "water spaniel" is documented in Irish laws going back to 17 A.D. There is much consensus that the word spaniel to mean dogs from Spain. Roman trade routes are believed to spread spaniels throughout Europe including Brittan where the Roman word for Spain, Hispania was Anglicized into Spaniel. One of the first books written in regards to the hunting style found in spaniels was by Gaston De Foix between 1387 and 1388 A.D. Livre de Chase (Book of the Hunt) recorded different stages of hunting and hunting different animals. Included were the quartering techniques of the spaniel. During the 16th century Land Spaniels were separated from Water Spaniels. Land spaniels developed originally pointing and allowing their handlers to snare the game. The 17th century brought about further division within the Land Spaniel. Springing, Hawking, and Cocking which were springers weighing up to 25 lbs. and used for smaller game such as woodcock. Cocker spaniels were the first to take hold of the American hunting scene and the AKC. The first Cocker Spaniel stake was held in Verbank, NY in 1924 and included stakes for Springer Spaniels as well. In 1910 the Springer Spaniel became recognized by the AKC and like the Cocker stakes, Springer events held stakes for Cockers as well. The spaniel world continued to divide itself through show or bench bred and field bred spaniels. The last dual champion occurred in the 1940's and the breed has been dividing itself since. The bench bred dogs have been focused on conformation rather than hunting ability and the field dogs have focused more on hunting ability rather than appearance. Unfortunately for the Cocker Spaniel most of the breed was leaning toward conformation. Over the past decade or two hunting Cockers have been coming back. The breed has gotten stronger and the desire and ability to hunt is back. 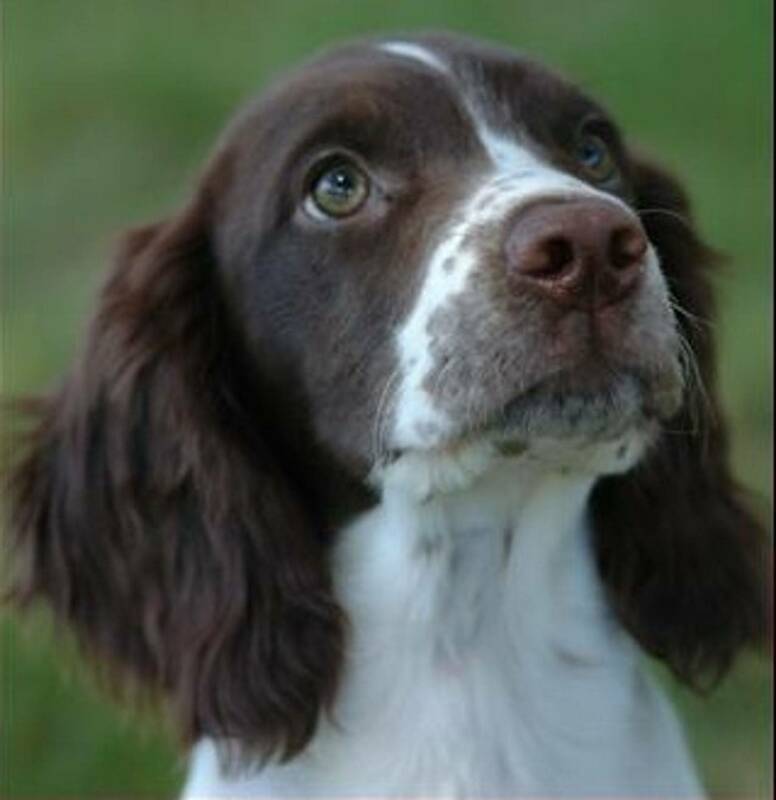 In regards to health, English Springer and Cocker Spaniels are quite desirable. There are some things to keep in mind when choosing breeding stock or a pup of your own. The parents of the pup should have their eyes checked through the CERF registry and be clear of hereditary eye diseases. Such diseases are Progressive Retinal Atrophy (PRA), Primary Glaucoma, and Multi Focal Retinal Dysplasia (MRD). Inherited metabolic disorders such as Phosphofructokinase (PFK) should be check for in breeding stock as well since it is inherited through a single autosomal recessive trait. Hip Dysplasia is not as common in Spaniels as in larger breeds, but you should make sure the sire and dam both are OFA good or better or PennHip in the upper percentile. Spaniels always have a way of getting themselves into situations which require field first aid. It is advisable to get a hunting dog first aid book and either buy or build an extensive first aid kit. Proper preparation when owning a working spaniel is worth its weight in gold. A spaniel’s temperament is what makes it such a desirable working dog. The desire to please their handler is key to their abilities. Being a flushing breed, they shouldn't range like a pointer and must have that human connection when working. This relationship with their handler creates a loving breed that is eager to please.